To enable our stakeholders maximise possibilities inherent in thoughtfully curated content we have adopted a “Digical” approach to content marketing, incorporating digital and physical/print dissemination channels. We invite you to savour our publications for your personal and corporate advancement, online and offline. 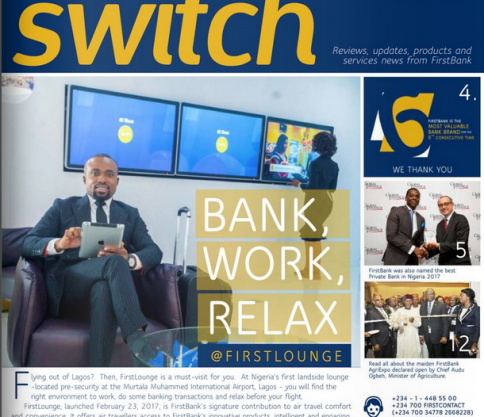 Switch is our online customer magazine providing updates on products, services and business development to enable you stay ahead with innovation, creativity, enterprise and leadership.